For my birthday I am considering asking for a dainty gold necklace. I love the charm of an anchor or the personalized feel of my initial. Which would you choose? I love the initial one! I love dainty necklaces, I can never seem to have enough! I love the initial one! 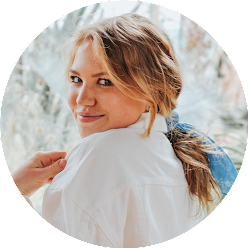 I have two dainty necklaces from Tiffany's and I love the way add to my outfit! I love the initital one! Dainty necklaces are so pretty! 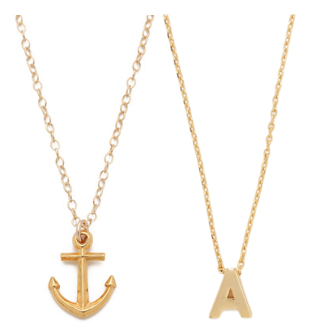 If you already have a monogrammed necklace, then I would go with the anchor! It will spice up any nautical outfit. I love the anchor necklace! I have a few dainty ones, but lately I've been finding myself reaching for statement pieces. I would go with the initial- anchors are kind of going out and a monogram would be classic! The initial! I feel like its more of a statement for yourself! I know it’s been a while now, but I were to choose, I would probably go with the anchor. The letter initials are a bit overdone and quite obvious, whereas the anchor is quite symbolical, and tells something about you. Anyway, which of them did you choose?